The sharp drop in the number of small and medium enterprises that are building new homes in the UK is, frankly, quite staggering. According to NHBC statistics, the number of SMEs in the industry in the late 1980s was more than 12,000. Last year that figure had fallen to fewer than 3,000. But whatever your thoughts on the role of the minnows in tackling the UK housing crisis, there is another aspect to having a thriving cohort of smaller firms. A healthy, vibrant industry needs a cross section of builders – the big guys, the luxury guys, the retirement guys, the bespoke guys, the bijou guys. Smaller firms add variety and can challenge at the table of quality – they can become catalysts for improvement throughout the industry in the areas of design, layout, interiors, appliances, equipment and build quality. It cannot be healthy for an important sector to be losing its SMEs – but that is what is happening to housing. The reasons behind the decline in numbers are legion – but they can best be described as “barriers to entry”. Planning and land availability are key concerns – local authorities are said to be releasing an increasing number of large sites to satisfy the requirements to deliver homes in their area in one easy take. These sites are not accessible or appropriate for smaller firms which need, by definition, smaller sites. Then there is legislation and bureaucracy, dragging out the process and destroying the opportunity for a small firm that cannot handle the paperwork, the meetings, the cost and the time. And of course, finance – getting the backing of banks and investors to raise the cash to develop the sites has become increasingly difficult since the crash of 2008 and the situation is not, apparently, easing quickly. So who would launch a new SME housebuilder in this climate? 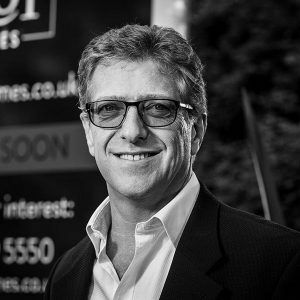 Step forward Richard Werth, formerly chief executive of Banner Homes until its sale to CALA in spring 2014, and now chief executive of a new firm, launched in October last year – Troy Homes. Werth, and his hand-picked director – former Linden Homes East managing director Adrian Bohr – have embarked on the journey to establish Troy and their tale is one of excitement and frustration – with the former, thankfully, trumping the latter at present. The last time Housebuilder spoke to Werth, early last year, he was set on the path of helping existing SMEs to grow and to find their exit strategies – there was no mention of a new housebuilder. So what changed? But this deal did not work out – and it was the investors who suggested they back him to start out on his own, to set up a business as he would want it to be. “So I did – I decided to go it alone,” says Werth. Werth’s assertion is that for a small business in the housebuilding sector to be successful, two things are required – “good people and finances – you need to marry the two.” His work looking for investors left him in a good position on the finances – Eric Gadsden of WE Black agreed to put in £6 million if Werth could find “the rest”. And he did, investing himself and bringing in support from Buckinghamshire developer Inland Homes which is headed by Stephen Wicks. Stewart Baseley, executive chairman of the Home Builders Federation, came in as a rather handy chairman of the new team.